Come refresh your body and soul. 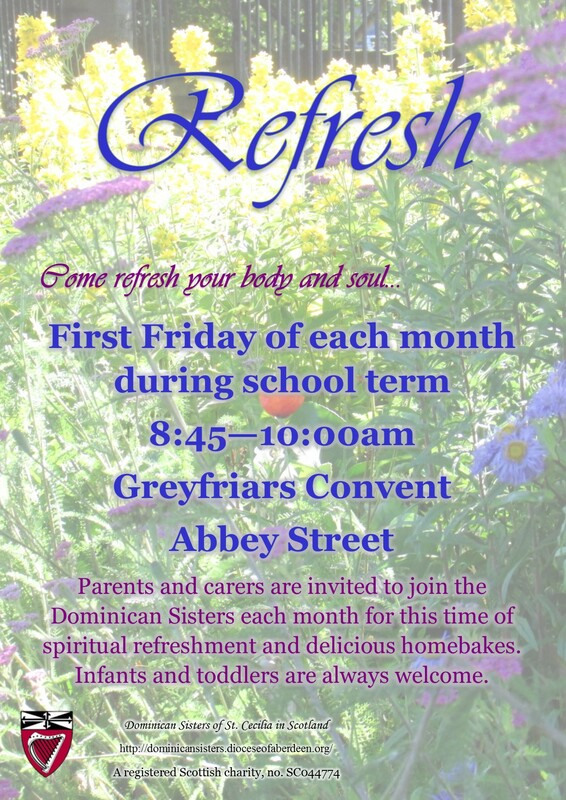 Parents and carers are invited to join the Dominican Sisters each month for this time of spiritual refreshment and delicious home-bakes. Infants and toddlers are always welcome.